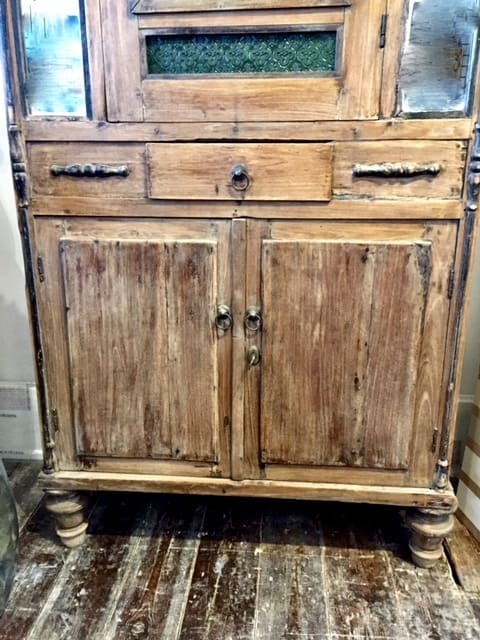 A lovely antique faded teak cabinet from java. 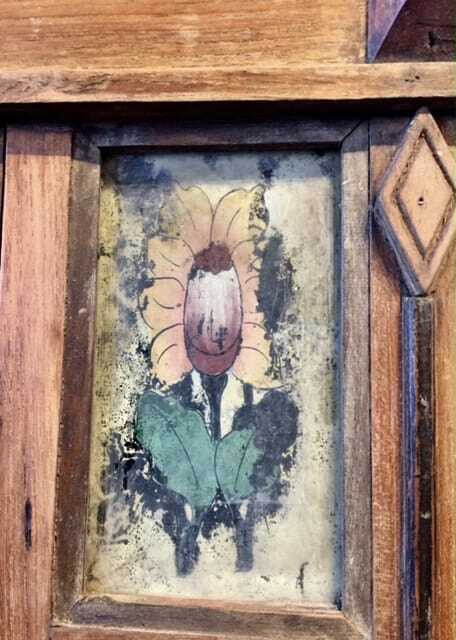 Having upper mirrored cupboard flanked with lovely handpainted floral glass panels. Below sits the central door above another double doored shelved cupboard. 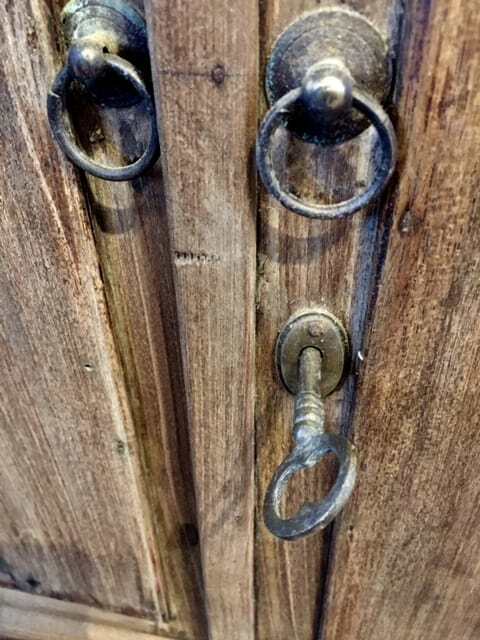 Both cupboards have original lock and keys. 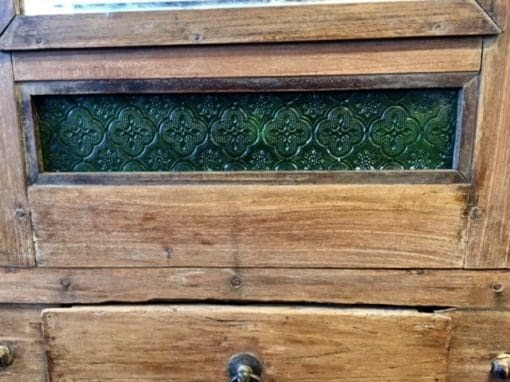 Below the upper cupboard is a lovely piece of old green glass decorated with quatrefoil type design. Applied decoration to top and sides. The whole standing on pretty turned feet. Great colour, great look! Pictures do not do it justice. 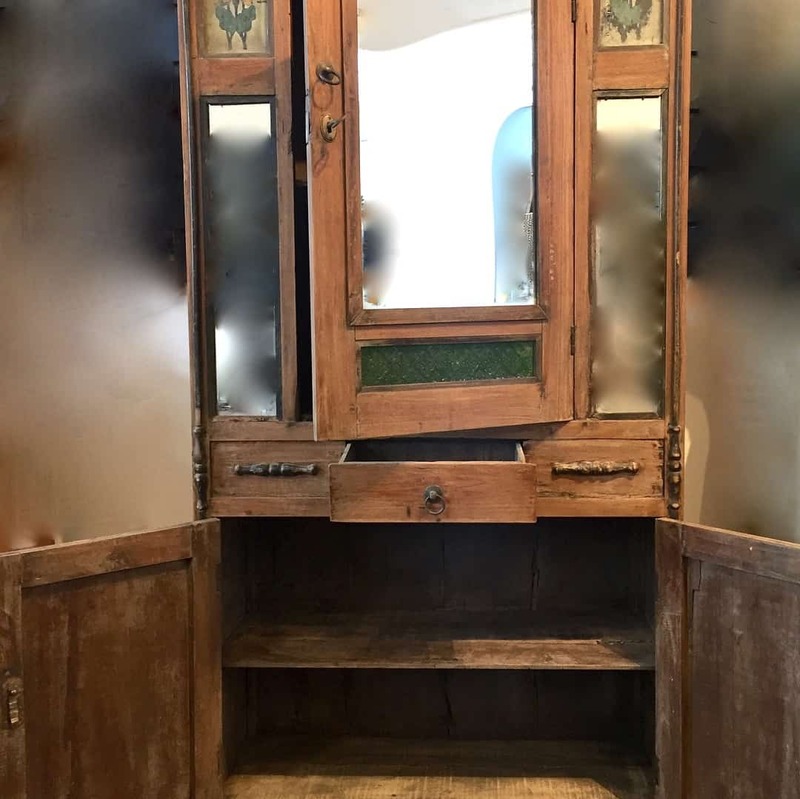 Dimensions: 170cm tall x 82cm wide x 34cm deep.